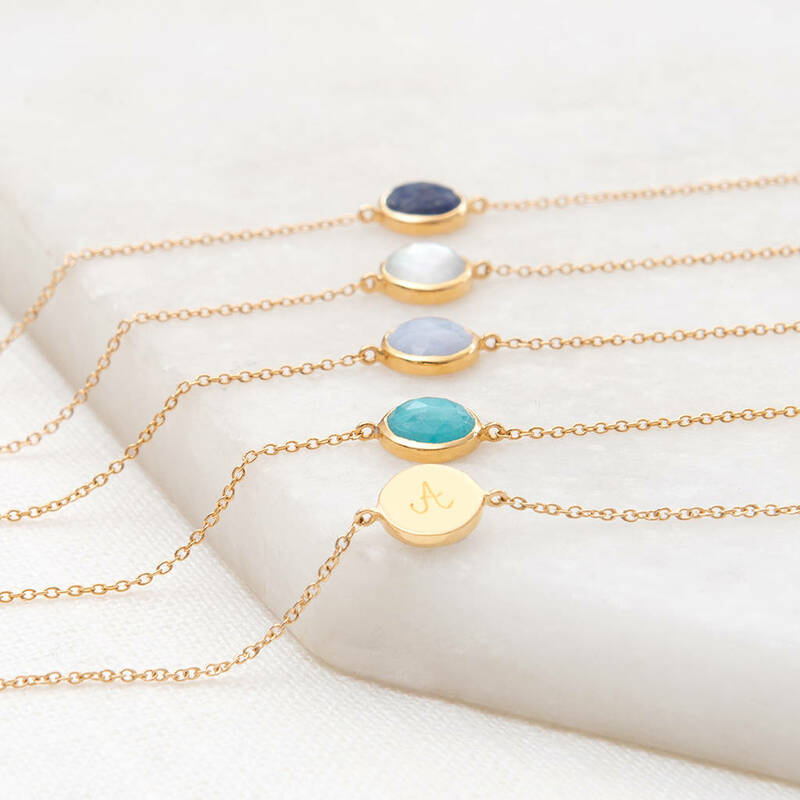 Flaunt your favourite colour with our Personalised Gemstone Chain Bracelet. 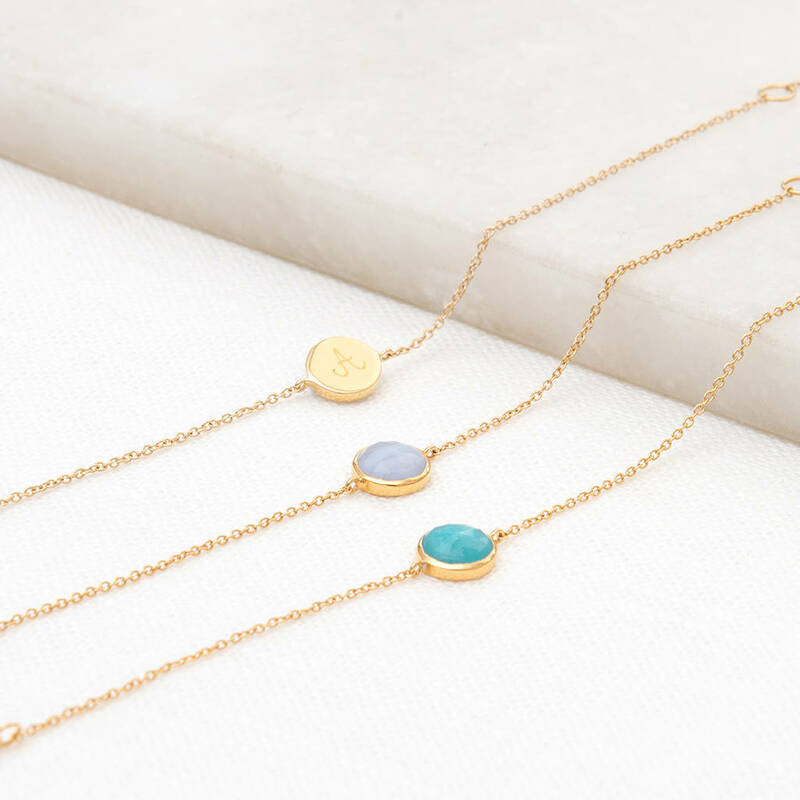 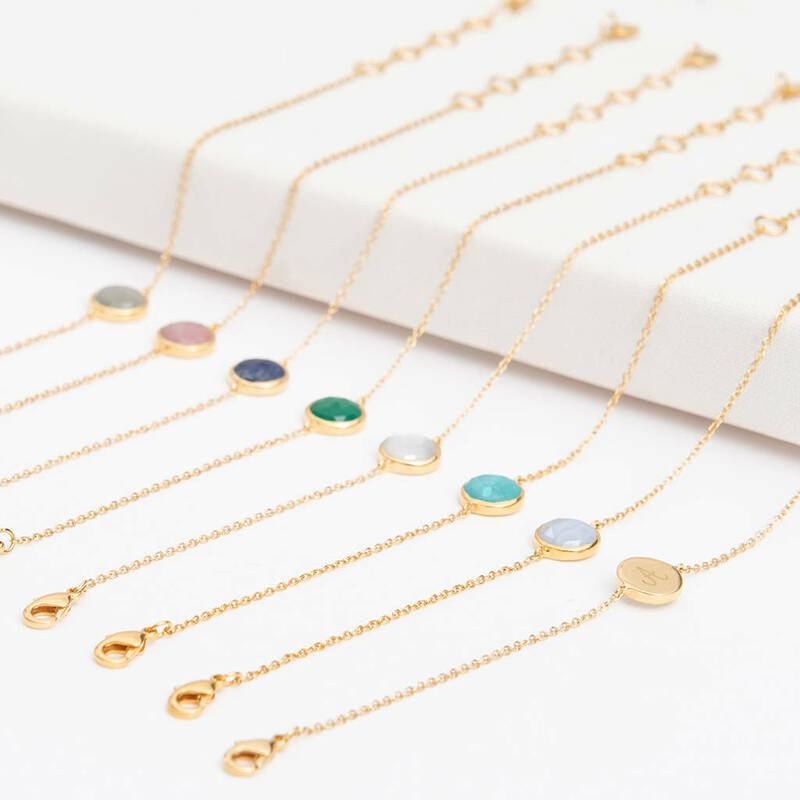 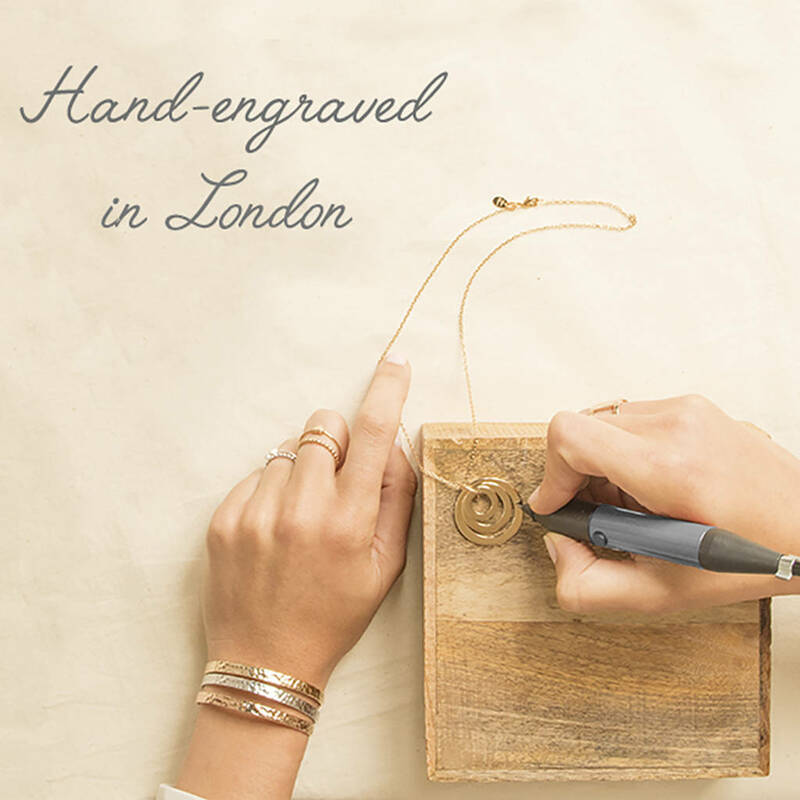 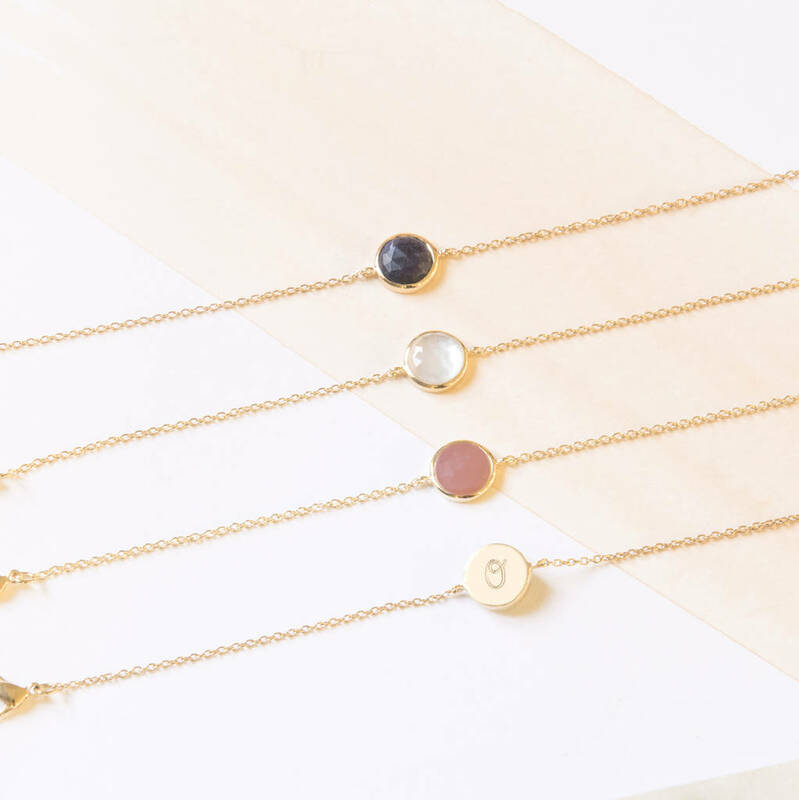 Featuring a round gemstone, that we hand-engrave on the reverse, on a dainty chain. 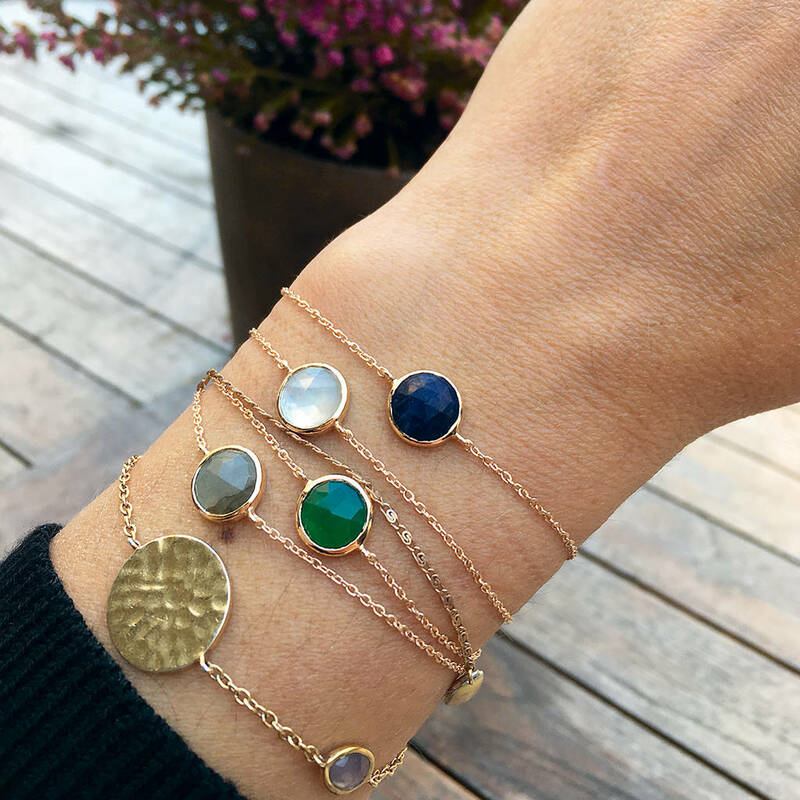 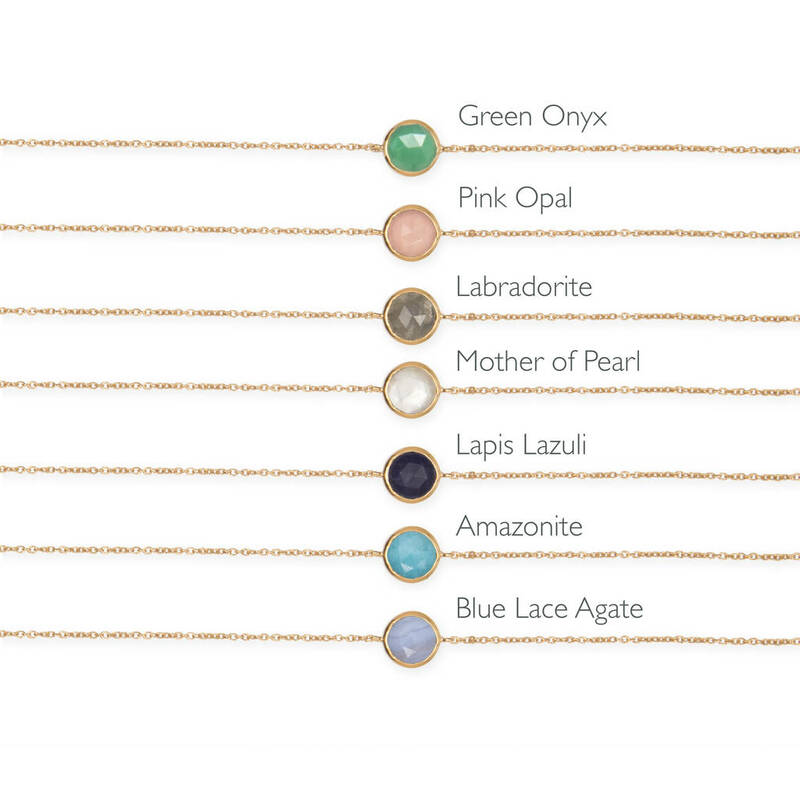 Choose between Pink Opal, Mother of Pearl, Labradorite, Lapis Lazuli, Green Onyx, Amazonite and Blue Lace Agate - or mix and match your shades to suit your unique style! 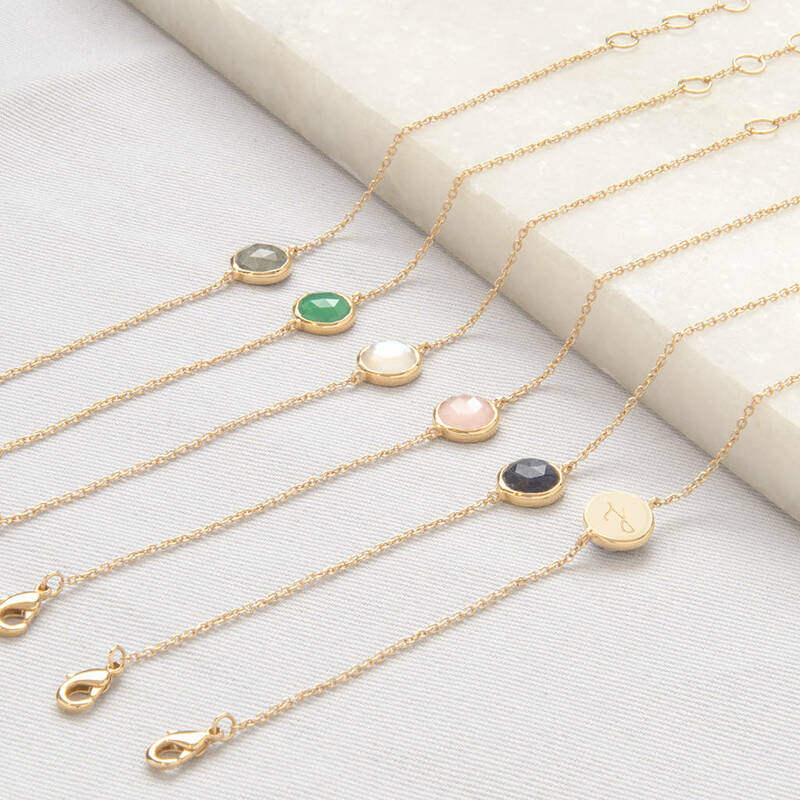 Personalise your bracelet with up to 3 characters on the reverse of the gemstone to create a treasured gift for yourself, your friends or someone special.